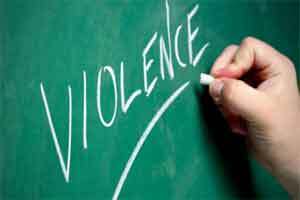 Rameswaram: Twelve people, including two school boys, belonging to two groups have been booked for allegedly indulging in violence and damaging a government hospital during a clash at nearby Mandapam, police said. A fight broke out between two boys, belonging to different religions, while they were playing cricket yesterday, they said, adding that both the boys suffered injuries and had been admitted to the hospital. As the news about the boys hospitalisation spread, their elders gathered at the hospital and a clash broke out late last night. Hospital building fittings, windows and a doctors residence in the complex were damaged in the clash during which some persons, including outsiders, were seen carrying country weapons, police said without elaborating. Ramanathapuram SP N Manivannan rushed to the spot with the Striking Force personnel and brought the situation under control. He said outsiders belonging to outfit of a particular religion were instigating the local people. They were warned of stringent action. Besides the 12 people, cases would be registered against some more persons, police said adding invesigations were on.